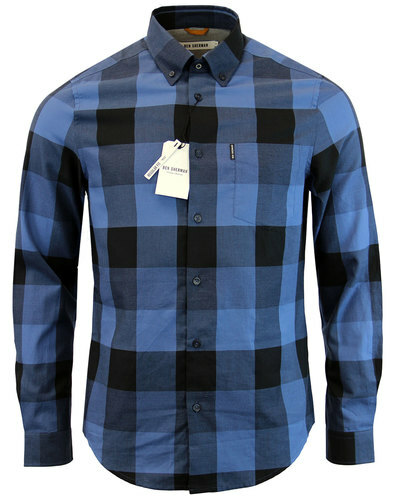 French Connection men's retro Gridlock cor shirt in fathom blue. The unique corded check fabric is aptly named Gridlock and features stylish blue squares with dark navy cross hatch surround. Benefitting from classic 1960s mod forward point collar and needle cord construction. 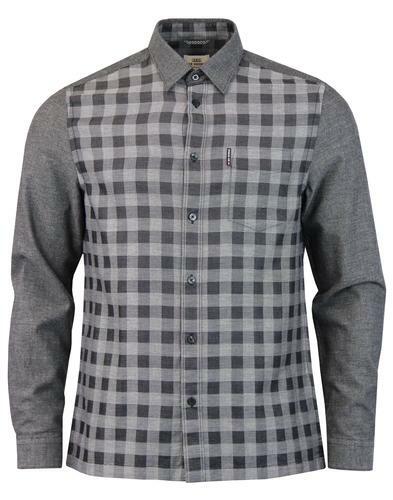 A simple and stand out men's retro cord shirt - The Gridlock corduroy check shirt from French Connection. 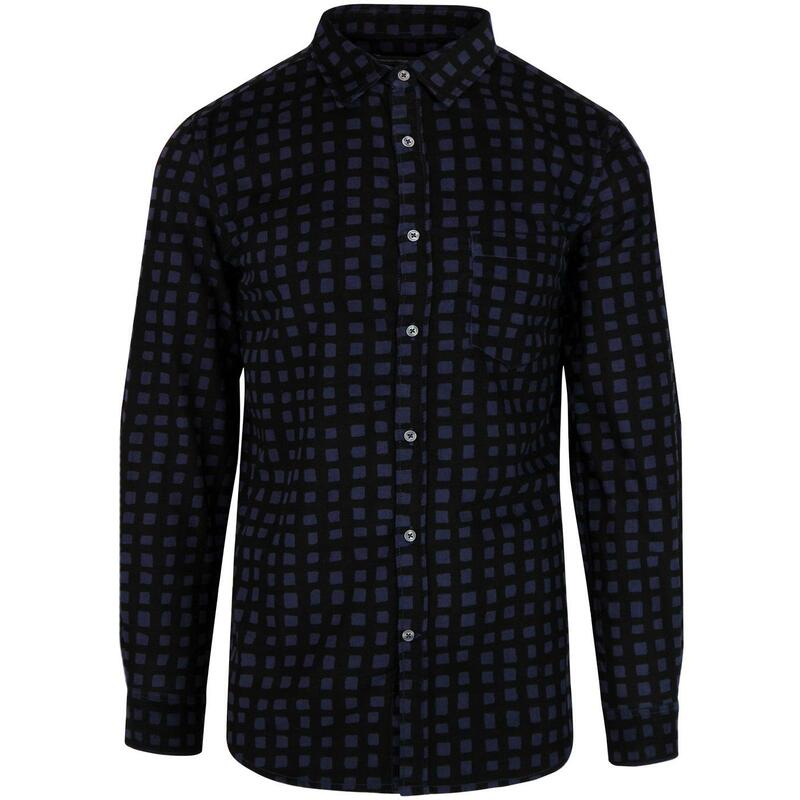 - French Connection Gridlock men's retro cord shirt in fathom blue. 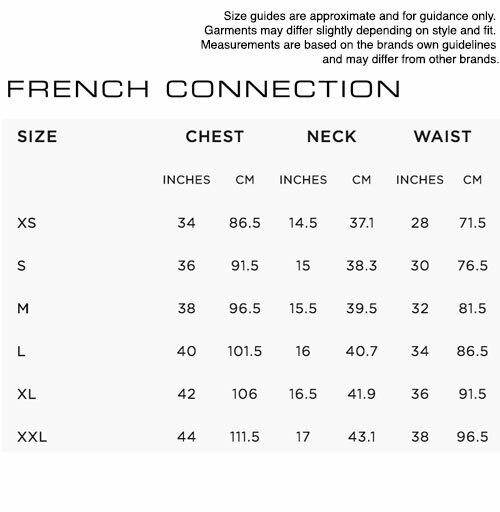 - French Connection signature buttons to placket and cuffs. - Blue square check design with dark navy cross hatch. 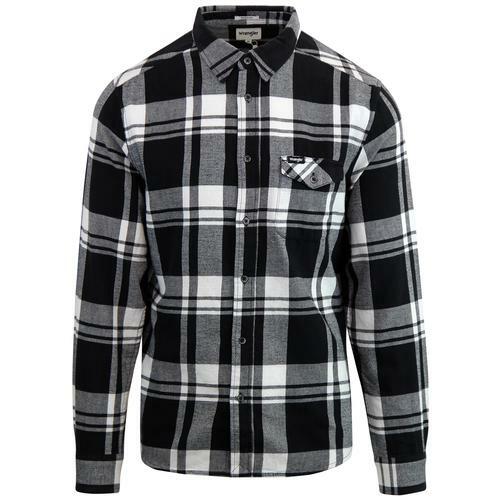 - SKU: 52KBP Gridlock Cord Check Shirt.